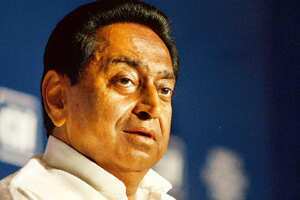 New Delhi: The Union government may announce an assistance package for exporters as a global recession threatens this year’s export target, Union commerce and industry minister Kamal Nath said on Monday. The proposals, including fiscal and monetary support to exporters facing demand crunch in the developed world, were considered by a committee chaired by the Prime Minister. Finance minister P. Chidambaram, commerce and industry minister Kamal Nath, Planning Commission deputy chairman Montek Singh Ahluwalia and RBI governor D. Subbarao attended the meeting of the committee, constituted recently to find a way out of the global turmoil. “We are looking at various ways we can help sustain exports," Nath told reporters earlier in the day at the World Economic Forum’s India Economic Summit in New Delhi . “The next five months will determine if we will be able to meet our $200 billion (Rs9.8 trillion) target for this year. This again will depend on how the Western economies fare." Exports make up one-fifth of India’s economy and Monday’s meeting comes after data last week showed Europe, the country’s biggest market abroad, slipped into a recession in the third quarter. India’s central bank this past weekend announced steps to inject Rs22,000 crore into the financial system to help exporters. Exports increased in September at the slowest pace in 18 months. Overseas shipments rose 10.4% to $13.7 billion from a year earlier, after gaining 27% in August. The central bank agreed to extend the period for subsidized pre-shipment credit to nine months from six months and increased the export refinance limit for commercial banks. The US share of India’s total exports declined to 10.3% in the two months ending 31 May, compared with 13.2% a year earlier, according to the latest breakdown of overseas sales from the central bank. In the same period, shipments to Asian countries increased to 30.9%, compared with 30.2%, according to the Reserve Bank of India. Nath, who is also India’s top negotiator at the World Trade Organization talks, said his government will not relent on its position that Europe and the US must cut farm subsidies for global trade talks to proceed further. “Timelines are not going to dictate the content," Nath said. “The question is whether our concerns are going to be met or not."